Research shows that young learners benefit from being outdoors—they retain information better, embrace new environments, sharpen their listening and learning skills, and develop an appreciation for the world around them. Caroline, a Girl Scout Ambassador from Hanover, embraced this research and used it as inspiration for her Gold Award project. Caroline knew local elementary school students were only heading outside during the school day to a fenced-in playground. 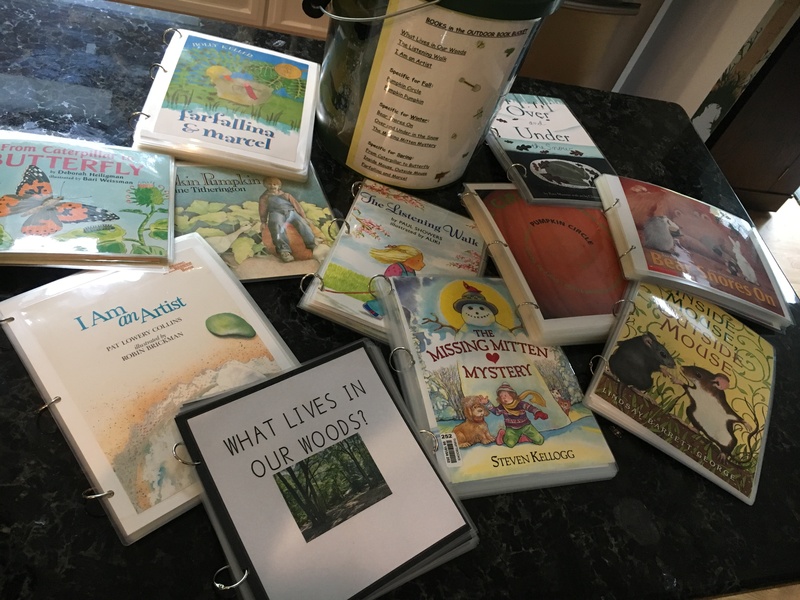 After recruiting a team of volunteers, Caroline built an outdoor learning space and created a corresponding curriculum for the local school system. 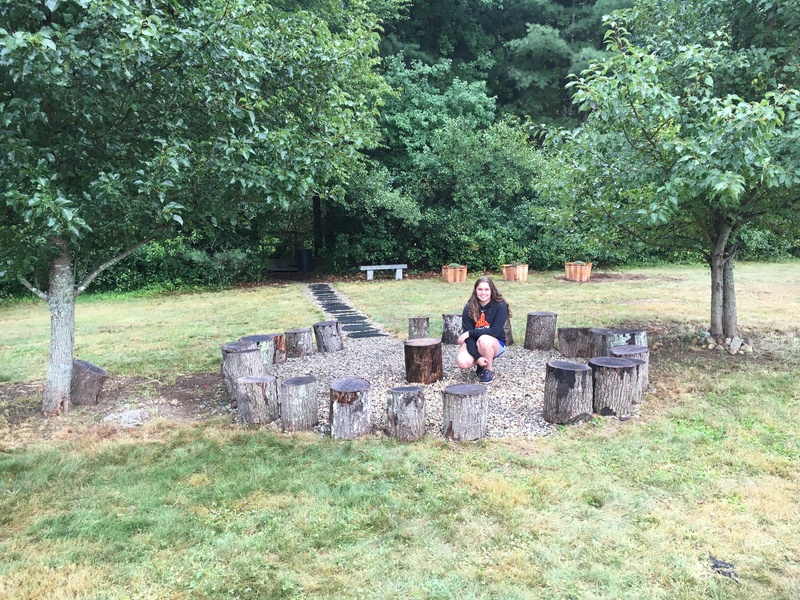 The learning space includes tree stump seats in a gathering circle, a garden area, and a cleared trail. She also created seasonally appropriate literature, laminated to endure the elements, and stored in portable containers. “My project makes it easy for teachers to head outdoors frequently while continuing the learning experience,” she says. The teachers and the students now both benefit through this expansion of learning opportunities and active movement during the school day. The community-at-large also has access to this learning space after school and during the summer. Caroline is committed to making the world a better place, and we are so proud of what she has accomplished!